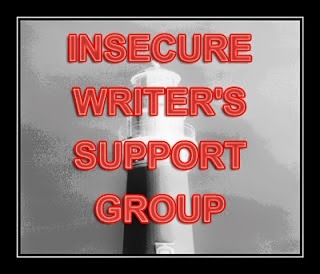 For this addition of IWSG day, I want to discuss a few things. 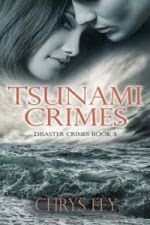 #1 99 cent SALE on Hurricane Crimes, my romantic-suspense short story. Ends Friday. 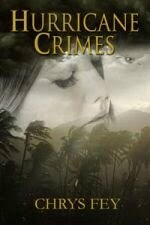 Amazon, Nook, Kobo, BookStrand, and All Romance eBooks. 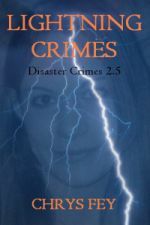 #2 You can name my antagonist in the sequel to Hurricane Crimes! I don’t want to make this post any longer, so for details go to my Facebook page. 1. How to Build a Platform – If you want to know how to get your name out. 2. Blogging 101 – If you’re looking for advice to make your blog better. 3. Blog Post Ideas – For those of you struggling to find inspiration for posts. 4. How to Create a Facebook Page – If you need help getting on FB. #4 Now I’m going to blab about my insecurity. In December, I sent two short stories to my publisher (The Wild Rose Press) for consideration. Before the holidays, I received a contract for Witch of Death. Yay! But I continued to wait to hear back about Ghost of Death. My beta readers said this story was good (Not great, might I add.) but thanks to them I made it better. When I did hear back from my editor, she had bad news. She didn’t like that I wrote the story in first person, past tense. Note to self: First person, present tense. Always! I’m better with past tense, so I altered the story to third person and sent it back. Again, I waited and waited...and waited some more. I finally got another email from my editor (who is fabulous, by the way) with more bad news. She said it was so good that she hadn’t realized the main character (the ghost) was sixteen, and that she couldn’t accept it unless I aged her. So I went back and made my ghost a twenty-one year old college student. I had to change certain things about the story to make it fit her new age. I sent it off again knowing if I got a “no” it would be a “no” forever. What happened, you ask? Well...I got the contract January 30th! I’m lucky to have such a wonderful editor who believed in my story, but there were so many changes so suddenly that I’m insecure about it this story now. LESSON: Even though an editor wants you to make drastic changes to your story, it can still get accepted! Hard work pays off! 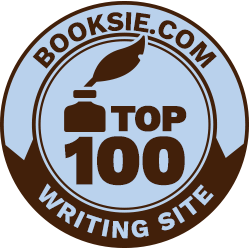 QUESTIONS: Have you ever done major revisions for an editor? Was you story accepted or rejected after that? 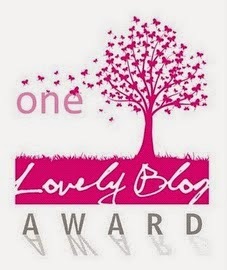 I was nominated for the One Lovely Blog Award by C Lee Mackenzie. Thank you so much, C Lee! 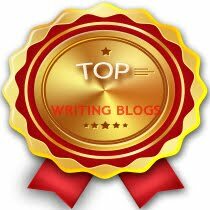 I'm thrilled to be nominated with so many other lovely bloggers, and I happily accept. :) A few days later, Gina Stoneheart nominated me for this award, too. Thank you! 1. Display the logo on their website/blog. 2. Link back to this page. 4. Nominate another 7 people. 1. I was almost born in Okinawa, Japan. 2. I love books/movies/shows about witches. 3. The main characters in my books are named after my future kids. Or I at least give them the names I’d give my future kids: Beth and Donovan (Hurricane Crimes), Libby (Witch of Death)...and more in other manuscripts. 4. My favorite flowers are actually weeds: daisies, dandelions, thistles. 5. I adore all cats, but black cats are my favorite. 6. If I wasn’t a writer, I’d be a photographer. YAY!!! Congratulations. I've made drastic changes to almost every book I've written at the request of my agent/editor--and it always made the story stronger. It's funny, though--my agent HATES present tense. She even blogged about it. So I don't even try! She hates present tense? Wow! She sounds like my kind of agent. ;) I can read present tense but can't write it worth a darn. And thanks, Stephanie! Congratulations on the success of your hard work and your nomination. I have trouble writing in first person except in short stories. Thanks for all the helpful blog links. Congrats on getting the contract! That's great! Congratulations! I'm sure it was difficult to change it twice, but you got the contract in the end. Congratulations on the contract! Even though the revisions were difficult, I would think the hard work made the contract even more satisfying in the end. And congrats on the award too, definitely well deserved. You're welcome, Beth! I'm sorry you never heard back after doing that revision. I LOVE EDITORS. Can I say that again? I work with two, and I'm so grateful for both. They definitely have a vision beyond my own and their suggestions take my writing to the next level. 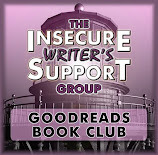 I understand the insecurity, but you shouldn't worry. You're in good hands. Thanks, Crystal! My editor is amazing. And I'm so glad that she continued to have faith in my story through my revisions. Thanks, Roland! 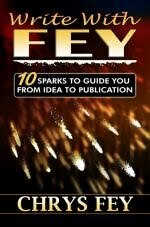 :) I didn't know that Hemingway, Fitzgerald, and Wolfe all had the same editor. Wow! Congratulations are in order. It is very difficult to make changes but you managed to do it and still keep a good story. Good for you! My Russian novels and my contemporary historical family saga are in present tense (third-person omniscient), but my eyes just glaze over the moment I see first-person present tense. With certain exceptions justifying that POV/tense choice, it just feels like the writer mindlessly following a trend instead of a conscious, deliberately chosen narrative. "I do this. I do that. I say this. I say that." It's really hard for me to even read, since it's been done so often, and almost always anymore just doesn't fit with the type of story being told. I can read first person-present tense just fine, but I can't write it. lol But you're write...it is done a lot, especially for YA. Congratulations! I recently was asked to do a revision and resubmit, but I was rejected. Sometimes the story just doesn't connect with that editor. So I submitted it to another venue. :) I have a lot of trouble reading and writing present tense. It's just weird to me. Thank you, Christine! I'm sorry it didn't work out with that other editor, but I know you'll find one who connects with your story. Congrats on the contract. I was biting my nails through the entire story, "Did she get it?" So, I'm sure I'd enjoy the short too. Glad your hard work paid off. I've had to do smaller changes before. Like with Hurricane Crimes, I had to take out all of Donovan's parts because I was head-hopping. Oops. LOL! But this was the most I've had to do for one story...especially a short one. Congratualtions on the contract :) And great linked posts! Ha! It sure would be tough picking a name whenever I do have a baby. Congratulations on getting both stories accepted! I had to make major changes to my second novel before it was accepted, but that was because there were structural problems with it. I've never changed a story's tense before, but I did change a story from first to third person once. Making changes of any variation is tough. Thanks, Lexa! And you sure are lucky!!! Thanks for the nomination! I'll give you a shout out on my blog. So, no first person past tense? That's interesting, because in my series, I've written it in first person past tense. My agent liked it, as did my editor, but I'm wondering now, if present tense would help it get picked up by a publisher. You're welcome, Sherry! Your blog is truly lovely so I had to nominate you. :) That is interesting because my editor said first person-past tense doesn't work. I guess every editor is different. Congratulations on the contracts, Chrys! That's awesome. I've never done revisions for editor, although I would certainly be willing to make changes if asked. My agent requested a more hopeful ending to my first book. Not a happily ever after but something slightly more upbeat. I had no issue making the change. It didn't impact the story, and I think it strengthened the book overall. Congrats on the publishing contracts—such great news!! LOL! I just don't get into the trends that much. Except for The Hunger Games. I made an exception with that one. I couldn't imagine having to change the tense for a novel. Congrats on both books! Past and present tense always confuse me. Thanks, L.Diane! They can be confusing. I think as long as the important parts of your story are there--what makes it your story or what you love most about it--the changes will ultimately make it better. Try not to worry! Congrats on the award! I haven't read the Twilight books, but I have seen the movies. I even WENT to the movies to see the last one. Sheesh. Thank you, Debra! That made me feel so much better. Haha! I was just never interested in the books or the movies, although people did try to get me to watch them and I read the first page of Twilight and stopped. Good for you for listening to your editor. You might know your story, but they know their market. Congrats for getting it accepted. Congrats on getting your stories accepted! I wish I could write short stories. I seem to be bad at it. Or maybe I just don't like not getting to fully explore, but I think it is that I like to build, rather than dive in... And I am not a present tense fan either--something has to be beyond fabulous, storywise for me to not just be annoyed with it. I used to not be able to write short stories, but now they come so easy for me. That's a lot of changes! It's a good thing you stuck with it, though. One of my professors in college actually said that first person present tense is the hardest POV to pull off. I tend to avoid it just because it feels like something is missing when I try it. I'm better with first person past tense. It was a lot of changes, but it was worth it. :) I've really tried to write first person-present tense but I just can't pull it off correctly. Congrats on the publishing contracts! Your hard work really paid off! Enjoy your well-deserved Lovely Blog award! You have lots to celebrate, Chrys! Congrats on the contracts and for going to all the work to revise. Trusting your editor makes it easier to go to all that work. Thanks, Susan! Trusting your editor is essential. 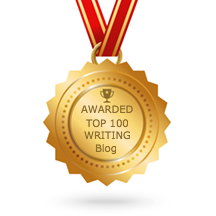 Congrats on the contract & the Blog Award, Chrys! Perseverance pays off! Congratulations on the new contract. That's awesome. Also, thank you for giving me the Lovely Blog Award. I really appreciate that. I'll post about it on my blog in a few days. Nice to know after all the hard work you did, you got the contract. I've done revisions for an editor and still been rejected. Ha! Oh, that stinks! But I guess it happens. Unfortunately. You're so lucky, Chrys, to have an editor willing to work with you. Someone who saw potential in your story. Congrats. Hard work does pay off. I am lucky. Thanks, Diane! Getting comments back is always nerve-wracking, no matter who it's from. >_< But I'm with you on this one - when the feedback makes the story better, it's all worth it. The one story I've had published became much stronger after I made the changes the editor suggested. You're right about that. Any kind of feedback is nerve-wracking. I'm getting that feeling with my manuscript right now which I'm sending to beta readers. woo hoo...congratulations! Glad you didn't give up! Your determination and open mind certainly paid off! Congratulations, Chrys! Your new book sounds exciting. I think it's great that your editor gave you that valuable feedback. Beta readers are certainly a big plus. 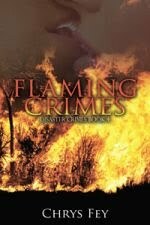 I'm just about ready to give my short story collection to some beta readers. I'm kind of insecure about it :) This is One lovely blog---most definitely. Hey, that's pretty cool you were almost born in Japan. Thank you, Lisa! They are both short stories, and will be eBooks, and I sure hope they are exciting! :D Good luck with your short story collection. I'm sure it's great! Sounds like you are really rocking the house with your writing. It is interesting to change a story so drastically, but I'm sure it was a good exercise for you anyway. Did you lose much in aging your character? I have a novel that has been criticized for having teenagers do things that are "inappropriate" for their age, but I know real teens and they do things that would shock older folks. It's a fine line, I guess, but congrats on getting your story published! Changing my story as I had to was certainly interesting...and a bit of a pain, but I got through it all right. I had to change quite a bit when I aged my character. Her dialogue and thoughts had to be altered. Her living circumstances, education, and where she hung out with her friends also had to change. The story must be good since the editor thought it was worth the trouble of revisions. Congrats! I guess so, so I'm really happy (and lucky) about that. Thanks, Nicki! I have done a few minor revisions for editors, no major ones yet. Congrats on your story acceptance and the fact that you didn't give up on it and revised and revised and revised some more. Minor revisions are common. 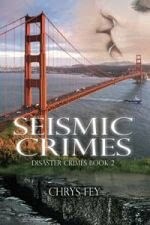 I've had to take out a scene in both Hurricane Crimes and 30 Seconds after they were accepted. But this was the most I've had to do to get a story accepted. Thanks, Rachna! I would love to work with an editor that could give me feedback like that! It's rare, but they are out there. I hope you find one, Margo! As I read your post, my own excitement and anticipation grew! So glad you go the contract. Question: Why was it necessary to age the character from 16 to 21? Congrats on your award - you're one of my favorites, too. My publisher doesn't like stories with teen main characters. When I wrote the story, since it's so different, I hadn't thought it would be a problem. Congratulations on your story ultimately being accepted, Chrys! What a relief. Thank you for the award, Chris! Also, congratulations on your story being accepted! I've got some edits coming on a short story coming in a few months, so we'll see. And, hey, I have a black cat (I think my favorite are Siamese) and love photography, too. Whenever I submit a story, I start to fret. The longer I have to wait, the more I fret. I come to believe it was the worst story ever written. So contracts always come as fantastic surprises! Congratulations on yours! Oh, I fret too. The suspense kills me! Thank you, Angeline! Congratulations on your story! And thanks for sharing those interesting bits of info about yourself. (I particularly like the naming your future kids bit). Thank you, Angela! I'm glad you enjoyed the random facts about me. It's hard to think of something that others would find interesting. Wow, congratulations! I hope it all goes well. Congrats on the contract. Hey, at least your hard work paid off, and your revisions only made the book better. I've had editors ask me to make changes to short stories. I always try to do as they ask and more often than not, that results in a sale. I didn't read any comment but the first one and I agree with Stephanie. In fact, I was relieved she said it. As a reader, my least favorite POV is first person, present. I dislike it so much that I will just quit reading sometimes if it's in first person, present. I love first person, past. So, I would not say first person, present (always). Your editor loves first person, present. And maybe she liked it for just that story (don't know), but many books are published successfully in first person, past. Anyway... so glad you revised to the point that everyone is happy and it has a publishing date. Win! That's so interesting! And I say that because first person, present tense is so common. Every writer is using it, it seems. So I'm glad present tense isn't my strong suit and I changed my story to past tense. I've never read a book in first person, past tense, but I enjoyed it for my own story and was disappointed when my editor said it didn't work. I guess all editors are different. Congrats on getting a contract for your story, hard work definitely pays off! I love stories about witches as well. And I've never done revisions for an editor but I imagine that getting those notes back must be tough! Getting those notes back is very tough, but after you sit on it you realize it's doable and for the good of the story. Wow! As a new writer and blogger, your site gives me plenty of homework. Good post! Sometimes revisions like that can be for the better as long as it's still the story you're happy with. I've done two revise and resubmit before for short stories. One short story after three or four R&R was accepted, but then the magazine never published it. The other was for an anthology and was rejected because the editor said it didn't fit with the other accepted stories in the anthology. Although the first story remains unpublished, I did get the second one in a different anthology. Yes, it's essentially the same story just altered. I am happy with the changes, though. I've had one flash fiction piece accepted by a magazine once but then they told me how much I had to change for them to actually publish it, so I pulled it. Sometimes those things happen for the best. Congratulations on both the award and the contract! It's interesting that the publisher saw something in it despite wanting to change the whole point of view and main character of the story. Thank you, Michael! I know. I'm really lucky, because anyone else would've rejected it for the POV alone. Awesome. Sometimes you just gotta get through all the rewrites. I like working with an editor, but they can sure be tough to please sometimes. I did major revisions for an editor once and the story was accepted. I look forward to your new releases. Congrats Chrys on the acceptance. Congrats on your stories. Just the idea that someone cares enough about your story to want you to tweak it is a good sign. Daisies are weeds? I didn't know that. That's my fave. I have a black cat. Right now he's yelling at me, so he's not my fave, but most of the time he is. Don't tell him I said that, he may hurt me. Congrats on sticking with the story. I know what it's like to get the "you need to rework this one." But editors usually know what they are talking about.